OMG, I am so very tired! February has been super busy. I am learning so many new things at work, working on the 9th Grade Ninja and I am also trying to make some time to work on storyboards for a friend's site project. On top of that I am taking a character design course and my brain feels like it's about to explode at the end of every day! ευχαριστώ, αχ κι εγώ αυτό ελπίζω. 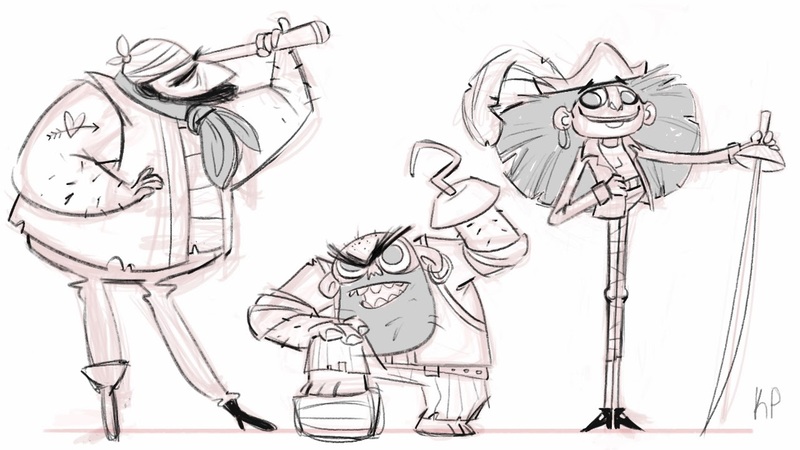 loving that grumpy, tiny pirate in the middle :) .